Eight-time world champion Riner, 28, has not seen competitive action since he won his second Olympic title a year ago at Rio 2016. The Frenchman is judo’s most decorated champion of all time and looks set to make a run for the Tokyo 2020 Olympics where he could become the first person to match the record of three Olympic judo gold medals which has only been done by Japan's Nomura Tadahiro (1996, 2000, 2004). Riner was last defeated on 13 September 2010 in the World Championships Openweight competition in Tokyo. Having avenged that loss to Japan’s Kamikawa Daiki – who has since faded from the international stage – Guadeloupe-born Riner has gone on the greatest winning streak in combat sports. However, the 6ft 7in, 135kg phenom, has not fought under the amended set of rules which were introduced in January 2017. This includes men’s contests moving from five minutes to four minutes and scoreless contests now continuing into golden score. There is a general consensus that the heavyweight field this year has the most depth its had in years with a rise of athletic -100kg judoka moving up to the +100kg category for a tilt at the throne of the illustrious Frenchman. Rio 2016 Olympic champion Lukas Krpalek (CZE) won his country’s first Olympic judo medal last summer and promptly elected to make the jump up to the heavyweight category. Krpalek had won everything available in the -100kg category and was motivated by a new challenge and the prospect of facing a new set of opponents. The move was celebrated by all but the heavyweight elite who have felt the full force of the Czech star far earlier than they may have anticipated. The 26-year-old won the Antalya Grand Prix, took bronze at the European Championships and won the Hohhot Grand Prix last time out to seal a seeded position for his first World Championships in judo’s heavyweight category. Krpalek, who is widely seen as the greatest contender to Riner, due particularly but not exclusively to his athleticism and ne-waza prowess, is still entitled to his gold backpatch which all 14 Olympic champions wear for the duration of the next Olympic cycle. Riner has his own gold backpatch for his +100kg exploits in Rio and if this blockbuster meeting comes to fruition in Budapest then it would be the first meeting between two champions who own a gold backpatch. It has all the hallmarks for being a sensational contest for the ages and could be the last individual contest at the most anticipated World Championships of all time before the Mixed Team Event. Japan have been revitalised under the reign of head coach Inoue Kosei and were back on top of the Olympic medal table in Rio after a below-par outing in London. Judo’s founding nation won three gold medals in Brazil, a silver medal and eight bronze medals as 12 members of their 14-strong team returned home with medals. There is no time for champions to be savoured for too long in Japan as the sport moves quickly and there are torrents of judoka at schools and Universities who are relentless in their pursuit of a place on the national team. Inoue is well aware of the pressure that his team are under after being reinvigorated at the Olympics last year but also as they are moving towards a home Olympics. Tokyo 2020 hopes were already carving out names for themselves on the IJF World Judo tour in the run-up to Rio but Inoue held them back until the time was right. In Budapest, the stage will be primed for Japan’s Tokyo 2020 generation as the AJJF hand 10 of their leading judoka their senior Worlds debuts and some of them will emerge victorious with a gold medal, a red backpatch and the adulation of the many travelling Japanese fans. Japan’s three Rio 2016 Olympic champions (Ono Shohei, Baker Mashu and Tachimoto Haruka) are all absent due to academic studies, injury and the latter is yet to make a decision about whether to carry on competing. China’s Cheng Xunzhao may have won bronze at the Rio 2016 Olympics but he left Brazil as one of its biggest winners. The 26-year-old ippon-seoi-nage specialist was unseeded at the Games and took part with little in the way of expectations or fanfare from his country. Not only did Cheng become the first male judoka from China to win an Olympic judo medal but he left the crowd in awe as he defeated all-time great Ilias Iliadis (GRE), world silver medallist Toth Krisztian (HUN) and the dangerous Marcus Nyman (SWE) all by ippon and all by his devastating seoi-nage. After a last-minute semi-final loss to eventual Olympic champion Baker Mashu (JPN) the Chinese judoka bounced back to edge out Lkhagvasuren Otgonbaatar (MGL) for a historic medal. Cheng’s sole outing since Rio saw him eclipse his peers in Paris to win his first Grand Slam and his ippon judo and untapped talent makes him one of the favourites for -90kg gold in Budapest. Olympic champion Majlinda Kelmendi (KOS) is a standard bearer for excellence in judo and is one of the most consistent athletes in world sport. Kosovo's flagbearer in Rio, Kelmendi, 26, made sure that her country’s first Olympics medal was gold with a professional performance which sparked impassioned scenes and celebrations across the young country. Double senior world champion Kelmendi is already assured a place in the history of judo and her country’s story but has the time and talent to go down in judo as one of the greatest of all time. The inspirational 2017 European Championships winner is riding a 29-fight winning run having been last defeated in November 2015 at the hands of long-time rival Erika Miranda (BRA) and will start as the overwhelming favourite in Budapest. A gold backpatch fits comfortably around the shoulders of Italy’s 22-year-old Olympic champion Fabio Basile. It looks like the new colour was introduced post-London 2012 with such a crowd-pleaser in mind. 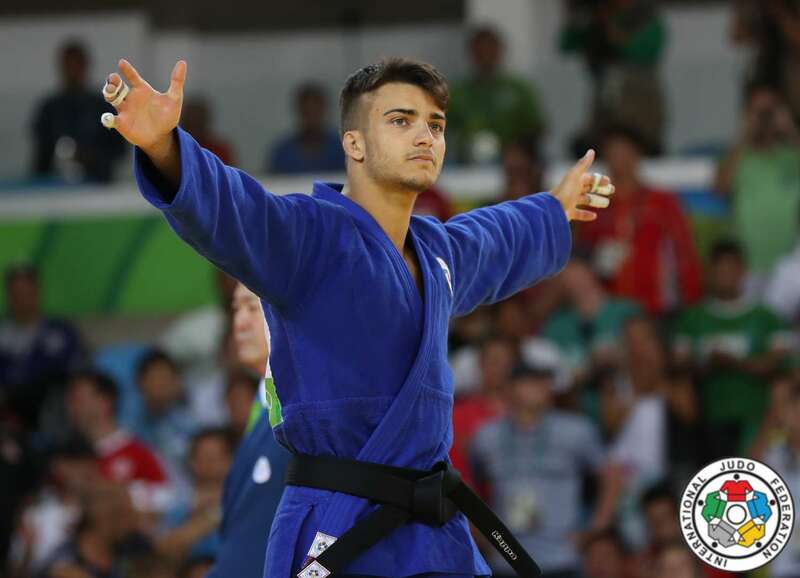 Flamboyant Fabio had never won an IJF World Judo Tour event and was unseeded in Rio in the -66kg category. Yet, with charisma and confidence in spades, the Italian produced the day of his life and electrified the Carioca Arena with a masterful display which is still difficult to comprehend. On the day Basile was unstoppable and now he goes again but this time he does not enter under the radar and the cameras will be glued to his every move. Both he and his opponents will feel trepidation as he takes aim at his first Worlds medal and he is ready to submit his bid to become the first Italian man to win world judo gold. Colombia's double Olympic medallist Yuri Alvear is on the brink of her fourth world title tilt and few would look past the Jamundí native for more success at the IJF’s marquee event. Alvear, 31, who is Colombia’s only Olympic medallist and world medallist in judo, is undefeated since she took silver at her third Olympic Games. Affable Alvear, who was the star of the IJF’s #JudoForTheWorld Peru episode, said “Arigato” to Japan's Tachimoto Haruka who won their Rio 2016 Olympic final a year ago, and has a smile that lights up a room in the same way that her talent lights up a competition. Gold medals have flowed in 2017 with victories at the Baku Grand Slam, Pan American Championships and Taipei Asian Open and in typical fashion those nine contests were all won by ippon. An appearance on the top of the medal podium in Hungary would move Alvear to joint fourth on the all-time list alongside IJF Hall of Famers and four-time world champions Yamashita Yasuhiro, David Douillet and Karen Briggs. The new face in heavyweight men's judo, Georgia's Guram Tushishvili, has lit up the heavyweight scene since switching categories on the IJF World Judo Tour this year. The 22-year-old, who previously fought at -100kg, was a shock winner of the Baku Grand Slam in March with scalps over seasoned heavyweights such as double Olympic bronze medallist Rafael Silva of Brazil. Tushishvili then won his first major title as a senior with a sensational European Championships gold medal in April. The Georgian’s drop morote-seoi-nage has been one of the throws of the year as he has employed it with devastating impact against the top heavyweights. Olympic champion Lukas Krpalek (CZE), world bronze medallist Adam Okruashvili (GEO) and five-time Grand Slam medallist Roy Meyer (NED) were all dispatched with all alarming ease by ippon to send the youngster skyrocketing up the world rankings. Tushishvili is now third in the world which means that he will be seeded for his first senior World Championships and he has won his last eight contests by the maximum score. Elvismar Rodriguez shone in the latter stage of the Rio 2016 Olympic qualification phase to secure a surprise place at the Games. The surprise was the fact that Rodriguez, 20, captured a spot at the grandest stage of all so early into her promising career. The Venezuelan spent lengthy spells honing her skills at the IJF Training Centre in Budapest with the financial support of the sport’s world governing body which also paid for her compete in numerous Olympic qualification events. Rodriguez has blossomed far quicker than anticipated with five Grand Slam medals and five Grand Prix medals already to her name. Such results have fast-tracked the South American to pole position in the -70kg world rankings - the first Venezuelan to achieve that feat – and the youngster could win the biggest medal of her career in Budapest as she looks set to be one of the next superstars on the road to Tokyo 2020. Judo superpowers South Korea failed to win Olympic gold in Rio for the first time since the Athens 2004 Olympics. Jeong Bo-Kyeong came away with -48kg silver while An Baul took the same colour medal in the -66kg category and reigning world champion Gwak Dong-Han won bronze. Legends such as Kim Jae-Bum, Min-Ho Choi and Song Dae-Nam have left a huge void in their country’s ranks since retiring but the ability is there and in droves. A new group of young judoka came to the fore in the last cycle winning Worlds medals on their way to Rio but were unable to perform as we all know they can when it came to their competition days in Brazil. Changes were made to the coaching staff following the Olympics, with former world bronze medallist An Jeong-Hwan returning home from Spain to coach the men and former World Judo Masters bronze medallist Joung Da-Woon making the transition from athlete to coach the women. South Korea will field a full talent-laden team of 18 judoka including defending world champions An Baul and Gwak Dong-Han and world bronze medallist An Changrim. European Championships winner Aleksandar Kukolj (SRB) leads the -90kg category into action in Budapest as the world number one. The 25-year-old lost to eventual champion Baker Bashu (JPN) in his second contest at the Rio Olympics but has strung together two Grand Slam wins since then including a sublime showing in Tokyo in December. Kukolj was narrowly beaten by European bronze medallist Khusen Khalmurzaev (RUS) in the Hohhot Grand Prix final last time out but has all the drive and determination to see off Russian opposition and all comers in Hungary. The Belgrade judoka became Serbia’s first European judo champion in April and wants to do etch his name once again into history books as the first world champion from the Balkan nation. Hungary will look to their inspirational veteran Ungvari Miklos – who at 36 may be competing in his last Worlds - along with 23-year-old former world silver medallist Toth Krisztian and world number four Joo Abigel. Naidan Tüvshinbayar won Mongolia’s first ever Olympic gold medal at Beijing 2008 to earn hero status in a country which had just come out of a civil war. Naidan added to his legacy with a scintillating run four years later as he came up just short in his bid to retain his Olympic title as he took silver at London 2012. The 33-year-old, who has four children (two boys and two girls) who are already training in the craft their father mastered, lost out in his opening contest at Rio 2016 and has only featured at the Asian Team Championships in April over the last 12 months (where he defeated South Korea's Kim Sung-Min). However, you write off a Mongolian, and a trailblazer like Naidan, at your peril. To prepare for what is expected to be his last World Championsips, Naidan, has been training at the national centre in Ulaanbaatar – even working out with Ilias Iliadis recently - and wrestled at the famous Nadaam Festival where he has long been one of the leading attractions. Naidan steps up from -100kg to the heavyweight category for the biggest World Championships of all time. The mercurial Mongolian last campaigned at +100kg in 2011 but – with no ranking - could be a spoiler for the top seeds and may be able to count on Presidential support from the teeming stands in Hungary. 14. Who will be crowned the first World Mixed Team Champions in Budapest? Budapest 2017 will culminate on day seven with the first Mixed Team event at a senior World Championships. Fresh from the announcement by the IOC that the IJF’s bid for this event to be added to the Tokyo 2020 Olympic programme had been successful, the traditional team event with separate men’s and women’s competitions has been amended to the new format of one event with mixed teams of six judoka (three men and three women). Men will compete at -73kg, -90kg and +90kg with women in action at -57kg, -70kg and +70kg. There is no greater honour than representing your country and the emotions of the judoka, as they all walk onto the mat for the customary team v team bow before the opening lightweight match, sets hearts racing and flags raising and it’s all accompanied by a cacophony of nose from the travelling fans trying to outsing one another. The atmosphere of a judo team event has to experienced live and in person as judo’s not-so-hidden gem, which perfectly embodies the Olympic values and spirit, has reached new heights with a world-class presentation and riveting action. The Mixed Team Event is tipped to redefine team sports at Tokyo 2020 and - with judo’s constant evolution and a new set of rules seeing the sport gain more traction in the media and with spectators – it all starts in Budapest with Japan – who won the final men’s and women’s team events in 2015 - the nation to beat on what will be a thrilling day of judo. 15. Can any nation outperform Japan who have topped every worlds medal table since 1987? Judo’s home nation has been without an equal at the IJF's premier event ever since the first joint World Championships in 1987. The hosts of the next Olympiad have succeeded in the men’s and women’s categories almost at will with top spot in the medal table in every edition of the Worlds despite the immense growth of the sport and increased competitiveness from all nations. France have finished second in the medal table behind Japan from 2010 – 2015 and will have high expectations this year. Their women’s team is one of the strongest in the world while their men’s team in Budapest has some untried names and they will look to Cyrille Maret and Teddy Riner for inspiration. Judo powerhouses South Korea were second in 2009 and while that would represent a vast improvement from their recent struggles, if they could reach that level in 2017, they are not in the competition to finish second and will demand a performance from their 18-strong team which features an abundance of young and untested judoka. Brazil were second at home in 2007 in Rio de Janeiro and are fielding an 18-strong team in Budapest which is replete with Olympic and world medallists. Ekaterinburg Grand Slam winner Miryam Roper made history in May when she won Panama’s first ever IJF World Judo Tour medal. The long-time German international took silver at the Cancun Grand Prix after she could not contest the final against long-time rival Marti Malloy of USA due to a knee injury sustained during her warm-up. Roper, 35, elected to represent her father’s country in the aftermath of Rio 2016 as Germany were looking to bring through a new batch of young talent under a new regime towards Tokyo 2020. The former world bronze medallist officially started over in April with zero world ranking points when she wore a Panama judogi for the first time and finished fifth at the Pan American Championships. Now fifth in the world, Roper will be seeded for the World Championships, which itself is an incredible achievement given the short timeframe of her switch. Roper won a world bronze medal a year after an Olympics before, in 2013, and will hope that and the smoothness of her transition will give her the drive to produce something special for Panama at the IJF World Judo Tour’s flagship event. 17. Stars on show in gold and red – will the defending world champions be able to retain their red backpatches? Olympic champions wear gold backpatches to make themselves more recognisable to judo fans, the media and to add to their aura. World champions wear red backpatches. 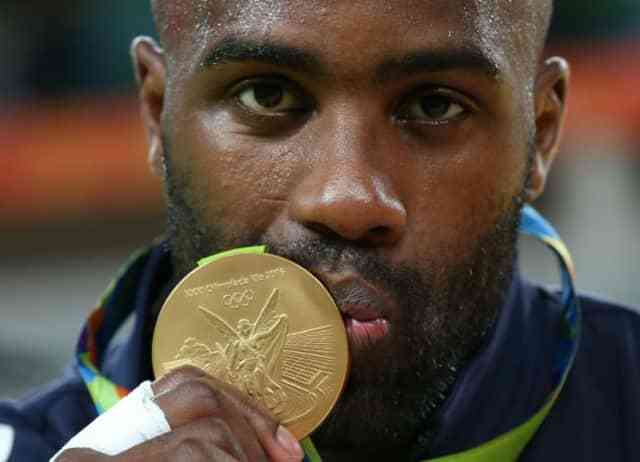 For a handful that own the two most cherished medals in the sport at the same time, such as Tina Trstenjak and Teddy Riner, the gold backpatch gets the nod and they will wear it for the duration of the Olympic cycle through until Tokyo 2020. Three current world leaders out of the 14 have won the World Championships and they are all reigning champions – Majlinda Kelmendi, Tina Trstenjak and An Baul. Trstenjak will be in gold, Baul will be in red, for the last time unless he successfully defends his title, while Kelmendi will be in gold. Azerbaijan have picked arguably their most complete and capable team of all time for the World Championships. Rio 2016 Olympic silver medallists Rustam Orujov and Elmar Gasimov lead the team and are backed up by European champions Elkhan Mammadov and Hidayat Heydarov. Their women’s ranks are making progress with eight selected including a trio of judoka who previously represented Mongolia. Azerbaijan are making strikes at the cadet and youth level and are investing heavily in bringing their women’s programme up to the level of their world-renowned men’s team. From the flair of 20-year-old Heydarov and the intelligence and grace of Orujov, there is steel and grit from Gasimov and Mammadov and determination from their women to come out of the shadow of their male teammates and prove themselves on the world stage. This means that Azerbaijan will also have a major part to play in the first Mixed Team Event and could go all the way on the final day in Budapest. Azerbaijan and the familiar IJF World Judo Tour host city of Baku will learn lessons from Budapest on and off the tatami and on 3 September the IJF flag will be passed to the Azeri delegation with just under a year until the judo family reconvenes in the land of fire for the 2018 instalment of the World Judo Championships. The Netherlands, historically, are one of the greatest and most important contributors to judo, both in its first foray into the Olympics and its domestic strength as the European nation has helped to shape the sport and given us some of the greatest judoka of all time. The first non-Japanese Olympic judo champion was a Dutchman. The late, great, IJF Hall of Famer Anton Geesink won the Openweight category at the Tokyo 1964 Olympics. Geesink showed the world that Japan could be beaten and won every honour in the sport before moving on to a highly-successful administrative career with the Dutch Olympic Committee and the IOC. Champion after champion has followed in the fabled footsteps of icons such as Geesink. The Dutch Judo Federation, which has hosted the World Championships and a Grand Prix, since the formation of the IJF World Judo Tour, is now in a period of change with a new national centre, new coaches and a new Grand Prix to look forward to in November in The Hague. Some time has past since Dutch legends of the gentle way, most recently in the form of Sydney 2000 Olympic champion Mark Huizinga and three-time Olympic medallist Edith Bosch, hung up their judogi from competitive judo and the search is on to find a new face of Dutch judo. The Netherlands last won a World gold medal in 2009 on home soil when Marhinde Verkerk went unbeaten. A team of 12 judoka (six men and six women) have been called up for #JudoWorlds2017 and they can afford to be cautiously optimistic. World number three Frank de Wit, 21, was a shock winner of the Paris Grand Slam in February, while 23-year-old Michael Korrel is up to third in the -100kg rankings after a substantial medal haul in 2017. Five-time Grand Slam medallist Noel Van T End is a better performer than his world number 19 ranking suggests but is aware that he needs to win a major medal to stamp his name on the IJF World Judo Tour and there is no better stage to do just that than in Budapest. World number one at -78kg, Guusje Steenhuis, was without question her country’s most consistent judoka in the run-up to Rio and now has the opportunity to show her power and finesse and perhaps has the strongest chance of the 12-strong team of becoming the next Dutch World Judo Championships gold medallist. The -70kg category has always been good to them and could yield results this year with European champion Sanne van Dijke and fit-again three-time World Judo Masters winner Kim Polling presenting an imposing double act. Judo was the number one trend in the world on social media for over half of its event at the Rio 2016 Olympics and the social chatter has been on the rise again in 2017. As the IJF closes in on 1million social media fans, the sport’s new, modernised and spectator friendly rules have worked hand in hand with the high-octane action on the tatami and the rich integration of social media at all IJF events, to give judo an unprecedented voice and level of discussion online. The enormous amount of traffic generated from the IJF’s social media has paved the way for champions and role models to be promoted and celebrated like never before and for judo’s moral code and role as a martial art, an Olympic sport and an education tool, to attract new fans, more media coverage, more sponsors and to quench the demands of existing fans. Stayed tuned to IJF.org for all the build-up to the 2017 Suzuki World Judo Championships!